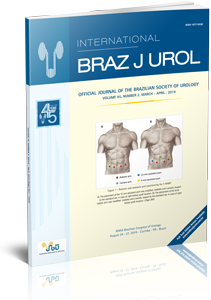 The internationality and diversity of subjects have been remarkable characteristics of International Braz J Urol, an open free access urological journal, as is this issue. Collaborative multicenter studies in Urology are lacking in Latin American; efforts in this way are welcome by International Braz J Urol. Colleagues from Mexican centers and Sao Paulo University (Manzo and Vicentini, respectively), found differences in the management of kidney stones with percutaneous nephrolitotomy when compared trained and non-trained urologists. 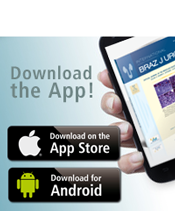 In that survey, they evaluated data from 331 urologists from 15 Latin American countries, that answered a 27-item questionnaire, easily accessed by mobile phones. Patel and Monga, from Cleveland Clinic, present in this issue, the distinct physical and mechanical properties of different ureteral sheaths, that are commercially used in their country, reiterating the possible impact in clinical practice.